Recognize that principle? I can still hear that gentle admonition ringing in my ears, “If you can’t say anything nice, don’t say anything at all”. Be courteous and kind to others. No one has any right to speak in a derogatory way about anyone else. It just should not be done. If I did ever insult, backbite or somehow offend another person, I believed an immediate apology was in order... and then, a period of somber reflection to consider what gross defect in my character would make me want to purposely hurt someone else’s feelings. Intentional or not, what matters is the inner quality of kindness and how it is practiced. 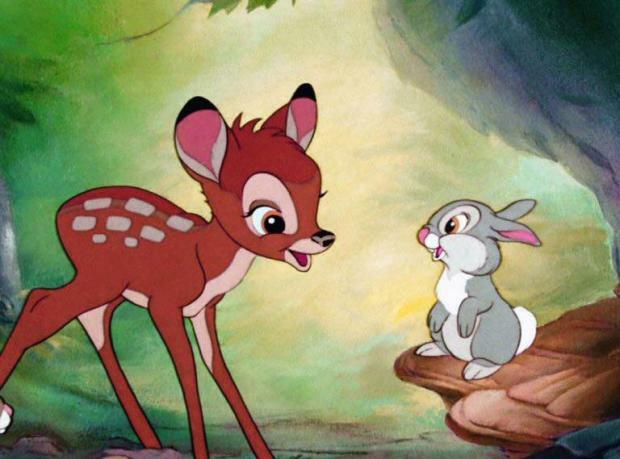 Thumper's Rule is a golden rule. A person’s words can do actual harm to others and to themselves. Words can be weapons. Karma, all your actions, good and bad, eventually will come back to you. It's our job to keep what we say positive, truthful and kind; unless, sooner or later, we want to hear things that aren’t so kind repeated right back to us. Some people blame social media for the rampant spread of “insult culture,” but it certainly existed before that. Insults and put-downs have been around much longer than today's societal trends. The carnage must stop, but never will.